My jot-form will not submit. I checked to see if I had a broken condition. Turns out that I did. I fixed it, but the form still does not submit. I tested it myself several times. I was able to submit your form with Google Chrome. Are you still experiencing the submission issue? Could you please try to submit your form with open Google Chrome Console to see if there are any errors? I have tried in both Chrome (my default browser) and in IE (since that is what some of my vendors use when they are submitting this form). Will it with the console now. The console suggests that the issue is with the signature widget. This is not the first time that this widget has given me problems. 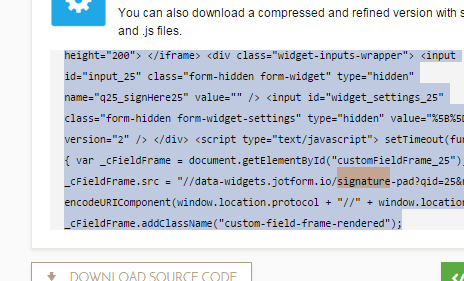 Mixed Content: The page at 'https://form.jotform.com/40892890264160' was loaded over HTTPS, but requested an insecure resource 'http://data-widgets.jotform.io/signature-pad/?qid=25&ref=https%3A%2F%2Fform.jotform.com'. This request has been blocked; the content must be served over HTTPS. Suggestions for how to fix it? Thank you for provided details. I can see the problem now, there is something wrong with that particular widget on your form. A bug report ticket has been attached to this thread and escalated to our Development Team. Thank you for the fast reply and confirmation that the issue is indeed a bug. I was able to get to the source code, but I don't have a place to host it (easily). I assume that is what you mean -- that I should download the code, add the slash in an editor, and then paste the code into a place where I can host the form. Is that correct? Or is there an HTML editor built into the form? Yes, you can copy all the code shown in that page and paste it into a Text Editor,if you are using Windows, you can paste the code into the Note Pad or if you are using Mac, you can paste the code into the TextEdit. Try doing the steps provided by my collegue above, and let us know if it works. Once I edit, what do I do? I don't have a place to host the code. 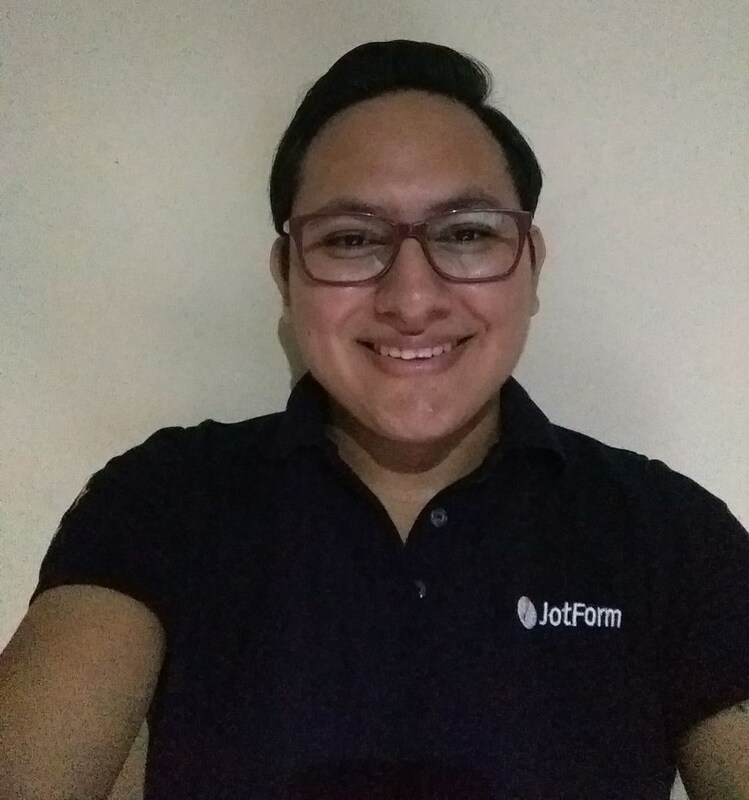 I just direct users to the jot-form URL. I appreciate that you guys have been responding to my emails over the holidays. Any sense for an ETA? This bug is impacting my other jot-forms as well, and preventing me from processing invoices. Sahil, the ticket for that bug is still in progress. Unfortunately, we can't give you a certain for the fix; but I can advice you a temporary solution while the process is continuing on the background. I hope this one will work for you. If there is an update for the bug, you will be informed on this thread. Sorry for the late notification. The widget is now fixed and should work as expected.